There is no doubt that the population of Norway is now aware of the international fury against their Barnevernet (Norwegian CPS). Human rights activist Marius Reikeras posted this picture on his Facebook timeline and it is the front page of their Morgenbladet (Morning Page). The title says: “Childcare Conspiracy: In 19 countries people are now protesting against the Norwegian CPS.” Protest signs such as “Barnevernet Childhood Killer” have made it on the front page as well. In the midst of the second wave of international protest across Europe (Madrid, Vienna, Prague, Arad, Suceava, etc) where many thousands have gathered to stand together with the Bodnariu family and other families unfairly destroyed by CPS, Norway is becoming increasingly isolated in the eye of international opinion. That is why they are in full damage control. They are on their heels. 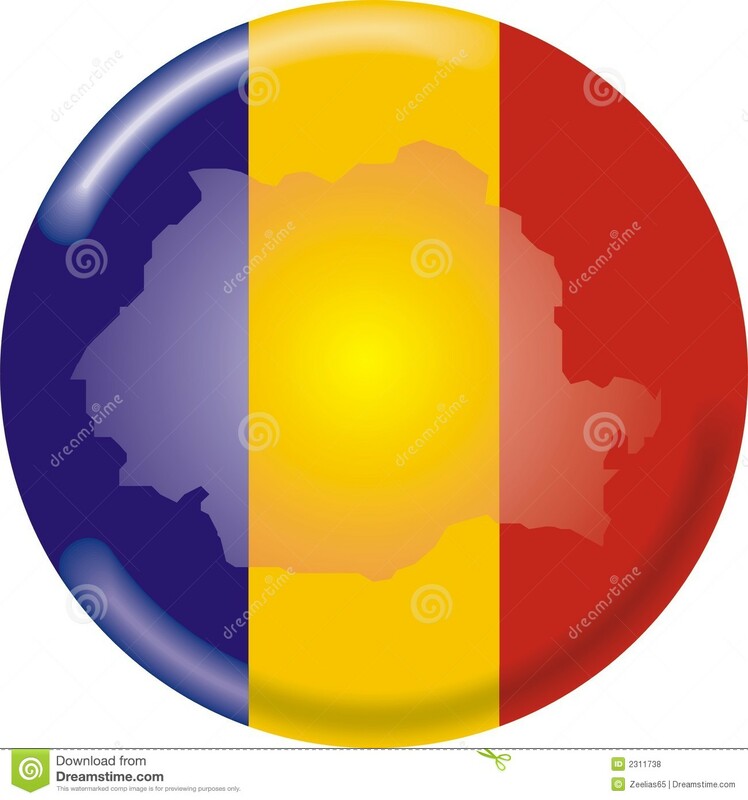 For the first time in the Bodnariu saga, the Barnevernet gave an online interview (here) to the Romanian paper ziare.com where they served up a glass full of the proverbial Kool-Aid. Same old rhetoric of not wanting to discuss any particular cases, perhaps because they were afraid of the details they would be confronted with. We keep hearing how Norway does not practice any type of corporal discipline (even a pat on the child’s bottom) since the 19th century, and how this may be punished by imprisonment. Ok, great. How about the sexual, physical and psychological abuse of 12,000 Lebensborn children which is so well-documented? Sorry, Delight in Truth rejects the Kool-Aid. It seems like the State has the mainstream Evangelical churches (in this case Pentecostal) on their side as well. In a country where less than 2% of the population attends church according to statistics aired on Antena 3 TV, the state-funded churches are on the side of… THE STATE. Wow, what a surprise there. Their leaders refuse to get involved in the situation and have hinted they would rather take out certain parts of the Bible dealing with discipline (Hebrews 12:5-11, Prov 13:24, Prov 29:17, 2 Tim 3:16), than offend the hand that feeds them. The good news for Barnevernet victims is that Norway knows what is going on internationally even though the media is spinning it into a conspiracy for now. We are waiting for the good citizens of Norway to stand up and say that 50.000 euros per child per year given to adoptive families is a facade for a system that steals children. We are waiting for Norwegians to rise up and reform their CPS. Norwegians are selling their souls and liberty for money. And the ones in power constrain them into submission. No wonder is no sense of wrong and right. The ones that are sick and tired of acting as controlled morons leave Norway into freedom like my Norwegian friend that told my his reasons of leaving Norway. I didn’t believe him that Norway’s system is worst than communism at that time. Even the Nazi refrained themselves from doing this kind of things to their own people. Faza e exact ca pe vremea lui împușcatu cu agenturili. Tineți-o așa, fraților, asta e exact ceea ce trebuie să facem acuma! Turid Kavli, manipulerer barn til å beskrive overgrep! – YouTube. Barnevernet and Norway itself is doing their best to keep these world wide protest against Child protecting(kidnapping) services low profile just like their neighbor former Soviet Union. A Lithuanian talk show has accused Norway of stealing their children in an attempt to tackle ‘the highest rate of inbreeding in the world’. An introduction to the chat show argued that Norway’s Child Protection Service (Barnevernet) argued that it was deliberately targeting Lithuanian children which were seen as a ‘sought-after commodity’. An ‘expert’ on the controversial service told show host Rūta Mikelkevičiūte that the country needed fresh blood to combat its rates of inbreeding which she said had led to high rates of babies being born with birth defects. Neringa Ozolina, a Lithuanian based in Ålesund, said: ‘The birth rate is the lowest in Norway,’ according to a report by The Local. She claimed he had been taken from her after displaying what was deemed to be ‘sexualised behaviour’, which included frequent visits to the toilet and sniffing his hands. She is still fighting to have her son returned to her. Norway’s Ambassador to Lithuania Dag Halvorsen admitted the issue of children being taken into care from foreign parents living in the Nordic country was a major concern in Lithuania. The problem is so widespread that Mr Halvorsen was forced to hire a Lithuanian public relations firm to try and counteract the ‘misconceptions’ about Norway’s child protection regime. ‘It is said that there is a history of inbreeding in Norway and that there is a high incidence of Down syndrome among Norwegian children,’ he told Norway’s NRK channel. Earlier this year Czech President Miloš Zeman accused the services of acting ‘like the Nazis’ by not allowing a Czech mother of the two seized boys to talk to them in Czech. Russian authorities have also attacked Norway over its seizure of children from their Russian-speaking families. This idea is actually not correct. It was a claim put forward by som Lithuanians a couple of years back as an explanation of why Barnevernet are as active as they are. Possibly it is a thought that might strike Lithuanians, among whom there are many Catholics, because first-cousin-marriage is permitted in Norway and there is no negative attitude to it. It is true that marriage between close relatives is biologically somewhat unfortunate, especially if practiced again and again over several generations. But in fact, there is no higher incidence of Down’s or other genetically caused deviations in Norway than elsewhere. (There is a higher incidence among immigrants from nations/groups among which marriage to relatives is standard, such as in the Middle East, Pakistan etc.) The reason why Down’s syndrome may SEEM to be more frequent here, is that children (and adults) with Downs’ syndrome are not hidden away here. They are out playing, going to school and so on, along with others. Nor are people with other ‘defects’ or abnormalities despised, their handicaps are not considered shameful, which I know is the case in some other societies. On this point, I think the general Norwegian attitude is right, humane, and sensible. The reasons why Norwegian CPS, and actually the CPS systems of Western countries in general, are as bad as they are, must be sought in other factors. My opinion, developed over 20 years of seeing and studying this system, is that it is a COMBINATION of several unfortunate factors and developments, not least in people’s attitudes – such as respect for authority and self-satisfiedness, together with economic factors. Actually, looking at the way money and jobs seem to be such a powerful force, it is as close as one can ever get, I think, to a Marxist idea of an economic basis for social life. The state of the CPS is NOT the result of any conspiration or of deliberate efforts to create a conspiration, but the effects of the several features are so intertwined that it may LOOK like its devastation of families had been planned. In fact, if it had been the result of a deliberate, evil master-plan, it would probably be easier to have the system demolished. People who have not come acoss our CPS before, often try to come up with some kind of home-made “explanation”, like the Lithuanians in this case. Actually, that kind of guesswork probably harms our efforts to have the system for child protection revised or scrapped in its present form. But here on DIT I try to focus on the facts of Barnevernet actions. These actions like swift removal of kids without warning, without investigation have become the norm in Norway it seems. Perhaps that is why most Norwegians do not react the way folks in Eastern Europe or America would. On the other hand, I hear reports that Norwegians fear their CPS. And fear must motivate protest and change. Norway, you talk too much about physical punishment without evidence. What do you think about effects of children separation from their parents? What about the psychological abuse? What about the freedom of speech? Norway,you are caring about gay’s rights too much and refuse to see the children’s abuse and all families destroyed. Do something before it will be so late! 5. Norwegians are well educated, therefore, good at math. If you do the math, you will find children are separated from parents in far larger percentage in Norway than from the same group in their home country. Does living in Norway turn otherwise good parents into bad parents? You know the answer. 8. It is possible that entire government departments and systems intended to help, degenerate into organizations that must be dizolved and started from scratch, statistical data on Barnaveret points to such a need in Norway. 9. The Bodnariu family had been raising children for nine years now with no incidents, did they go bad overnight and turn into incompetent patents? We know that is not possible…yet the manner in which their children were taken is insane, it points to incompetence on the part of the authorities. 10. Norway did practice corporal punishment until the nineteenth century, they weren’t criminals until than, they just didn’t know any better. People who spank, not violently beat or hurt, their children can learn new ways, as Norway has learned so can immigrants living in Norway. It appears the Norwegian CPS is not willing to allow others the same chance history gave them to learn. We love the Norwegian people and cold protection is add important to us as to them, we ask for the good citizens of Norway to stand against abuses of the system against the very principles of child welfare. Actually throughout the nineteenth century too. I think somebody has been confused over the difference between “the nineteenth century” and “the nineteen-hundreds”. For example, 1920 is in the twentieth century. And the law against spanking is quite new, and its very strict enforcement belongs to the twentifirst century, i.e. to the century we are in now. A dictatorial system can find any reason to fulfill their dirty plans. In Norway, Barnevernet, which is upheld by the State, fulfills their plans to steal children from their families. Because the justice system and the lawyers are under the rule of the State, families whose children were taken do not have a chance to get their children back who were taken by this “Nazi” system. The only chance for those who live in Norway is to protest in the streets. A dictatorial system cannot be taken over except through protests in the streets. This is hard in Norway because already for several generations the system has brainwashed the population. It is important to understand that you, the few who were oppressed by the system, have to go in the streets and protest. You have to make public your intentions in all of Norway. You will see that many who do not have the courage now, when they see you in the streets they will join you. In all the continents, people already know about the abuses of the organization Barnevernet; when you go out in the streets in Norway, we will support you from all over the world. We pray that God will support you in being reunited with your children and in bringing back the values of freedom for the Norwegian population. It is inhumane for a child to be separated from his/her parents for reasons that are in fact not in the category of abuse. Barnevernet does not look for abused children; they look for reasons to break up families. We all have seen from the testimonies of many Norwegians and citizens of other countries that the reasons for why Barnevernet takes children from their families are fabricated and not based upon truth. They do this because of the fact that the Norwegian state helps them, which makes us believe that the Norwegian state and Barnevernet work together to abuse the population. Therefore, together with the protest against Barnevernet, you must protest against the state of Norway. The dictatorial political system, together with the Nazi practices must stop. The kidnapped children need to return to their families. The Norwegian population has to find their freedom and this freedom must be seen in everyday life. The freedom must be seen in the judicial system in Norway. The freedom must be seen through the smiles of children among their families. Together we will conquer. Norwegians, go out and protest in the streets. God bless you, Norway. Barnevernet, take your filthy hands off of our children; stop stealing our children. Please share my message and together we can conquer this bad system of Norway. The picture from Morgenbladet is not unexpected. It is really quite heartening: It must mean that the CPS defenders in Morgenbladet are all at sea understanding the surge of opposition. They are helpless because they do not go into the question properly. I mentioned above that the CPS setup is not the result of any conspiracy on the part of the CPS themselves, the government, or anybody else to work against the population with lies and harm, in order to gain something or other. Nor is the resistance against CPS abuse the work of any conspiracy. Morgenbladet’s “diagnosis” is well-known to me; it often comes up. People who are hit by CPS atrocities search around for someone to help them or someone to join forces with. Some such groups reason along the lines that the CPS system is the result of socialism, or the opposite, or religion, or atheism, or what have you. Many take refuge in what we can call out-groups, little groups with special interests. For instance, many people who are against vaccines for children, have been in conflict with the CPS on that score. Norway is not so large and the outspoken critics of CPS are not so many. Therefore, many CPS opponents know of each other or they know each other, although many are frightened and keep more or less anonymous. That is not to say that they have got together and made up some plan – conspiracy – to achieve such and such in an underhand way. But people who are mostly interested in well-known political and social topics – like writers for Morgenbladet, I suppose – take for granted that anything unusual they hear from people who are neither well-formulated nor many, must be nonsense thought up by fogged brains working out something in a dark cellar. When the claims put forward are highly critical of something these established, intellectual know-alls in the mainstream take for granted, something which challenges their whole understanding of society (e.g. that the CPS do great harm), then these intellectuals think there must be something odd going on. They understand that single idiots can come up with crazy ideas, but when so many say the same “crazy” thing (like the CPS do great harm), it does not occur to most mailstream people to look into it without preconceptions to find out if it is actually true, rather they play detectives of those who say it. They are stuck in their ideas of Norway as a pretty well perfect welfare state. Therefore, they think, all these protesters must be acting under some kind of organised “movement” – a conspiracy. One man, who has written quite a lot of criticism of the CPS and who runs his own websites, har been called something like “the spider directing the whole net”. I seem to remember someone called me a “conspiratorial theoretician”, but it didn’t seem clear whether that was supposed to mean that they thought I believed in the CPS being conspiratorial, or they thought I was busy thinking up plots for CPS protesters to act on. “Children as young as three years of age who are taken away from their parents by so-called emergency placement, remember the incident remarkably well, says researcher Gunn Astrid Baugerud , who has researched how children cope with the CPS collects them and takes them away from their parents. – Children have been interviewed a week after the incident, three months later and a year after they were retrieved. That they remember what happened as well, says something that these are events that leave traces. Stress sharpens your memory, we know from other research. Some remember down in detail, others have a more fragmented memory of the situation”. LES MER I PAPIRUTGAVEN: – Barn helt ned til treårsalder som blir tatt vekk fra foreldrene sine ved såkalt akutt plassering, husker hendelsen bemerkelsesverdig godt, sier forsker Gunn Astrid Baugerud, som har forsket på hvordan barn takler at barnevernet henter dem og tar dem vekk fra foreldrene sine. – Barna har blitt intervjuet en uke etter hendelsen, tre måneder etterpå og ett år etter at de ble hentet. At de husker det som skjedde så godt, sier noe om at dette er hendelser som setter spor. Stress skjerper hukommelsen, det vet vi fra annen forskning. Noen husker ned i detalj, andre har en mer fragmentert hukommelse av situasjonen, sier hun. Посольство Норвегии в Бухаресте опубликовало на своей странице обширную информацию о норвежской службе защиты прав детей и опеки /Barnevern/. Возможно, что аналогичная информация размещена и на сайтах норвежских посольств в других странах. Доклад не точен и местами откровенно не верен и имеет целью нарисовать глянцевую картинку системы, которую тысячи норвежцев воспринимают как вмешательство в жизнь семьи и нарушение прав ее членов, и действия которой вызвали многочисленные демонстрации не только в Бухаресте и других европейских столицах, но и в самой Норвегии. „В 2014 примерно 53.000 детей находились под различными формами опеки службы защиты прав детей. Более восьми из каждых 10 этих случаев составляли решения о получении помощи детям и семьям, принятые на добровольной основе“, говорится в докладе посольства. Однако сведения о том, как много детей получают помощ от службы опеки, разумеется, полностью иррелевантны по отношению к проблеме – как много норвежских детей изъяты от своих родителей. В 2014 году 11200 детей проживали у приемных родителей, что следует из статистики Директората по делам детей Норвегии. В течение года 1665 детей были принудительно изъяты из семей. Круглый год, буквально через день и год за годом 3-4 ребенка лишаются родитилей по решению службы опеки. Посольство пишет, что решение об установлении опеки издается специальным или ординарным судом и „только в случае если ребенок систематично подвергается “жестокому обращению, унижению или пренебрежению к его правам“. „Содержать ребенка вне дома без родительского на то согласия всегда является последней возможностью“,-сообщается в докладе. Это существенный аргумент, чтобы косвенно направить тяжелые обвинения в сторону родителей, имеющих мало возможностей защититься. В одном из дел, заведенном против чешской матери, в апеллативном суде против нее было использовано обвинение, что она обратилась к СМИ за помощью в ее вопросе. Утверждения посольства о том, что дети отнимаются от родитилей только в том случае, если налицо предшествовавшее систематическое “жестокое обращение, унижение или пренебрежение к правам ребенка“ настолько некорректно, что может быть охарактеризовано как грубая ложь. Изучение сотен подобных дел, предпринятое доктором наук Оге Симонсен / dr. science Åge Simonsen/ показывает, что редчайшие случаи передачи прав на детей органам опеки были обоснованы пренебрежением к заботе о детях, невыполнением родительских обязанностей, а чаще всего были взяты под опеку в результате субъективной оценки какого-то бюрократа из данной службы /Barnevernet /, гласящей что родители „не проявляют заботу о детях“ – они были признаны недостаточно способными родителями. Эта картина соответствует и собственной статистике Директората по делам детей, относительно 20 признанных им случаев неправомерного вмешательства службы опеки в дела семьи. Первым в списке оснований для этих действий стоит формулировка: „Родители не имеют родительских навыков“. В одном интервью данном норвежской газете “Verdens Gang“, адвокат Thea Totland сказала, что в последние годы она отмечает все больше дел, где речь не идет о явном пренебрежении заботой о детях“, но где оценка заботы о детях надуманна и исходит из требований, которые многие семьи не в состоянии выполнить. И что же должно следовать если служба опеки /Ба′рневе′рнет/ считает, что родители не имеют соответствующих способностей чтобы растить своих детей? Профессор Марианне Сконланд, очевидно, известный человек в Норвегии, который на протяжение многих лет занимается вопросами деятельности службы защиты прав детей страны, и которая всесторонне знакома с существующими проблемами защиты прав детей и семьи, в одной из своих статей по данному вопросу анализирует аргументы, использованные службой опеки и аналогичными службами других стран Северной Европы, страдающими от таких же государственных систем. 1: Психолог констатировал, что мать ребенка не смогла как следует приготовить омлет /в присутствие психолога, чтобы продемонстрировать ему свои умения,/ и что она режет хлеб слишком толстыми ломтями. 2: Ребенок смотрит с любопытством на незнакомых вокруг и улыбается им. Это значит, что он не испытывает привязанности к своей матери. 3: Грудной ребенок наклоняет голову не в ту сторону, когда отец его умывает. 4: Мать хочет отправить детей к физиотерапевту и на другие необходимые медицинские процедуры в сопровождении их бабушки вместо того чтобы сопровождать их самой. 5: Когда дети посещают бабушку, она обнимает их. Барневернет должна была прекратить это, так как это может создать нежелательную привязанность. Посольство заявляет, что “родители имеют право на справедливое разбирательство, включая адвоката, услуги которого оплачивает правительство, они также имеют право быть выслушанными и право обжаловать решение“. Это верно на бумаге. Но правовое исследование вопроса иллюзорно. Правовая практика такова, что она к этому почти никогда не приводит. Это подтверждают и норвежские адвокаты. На все время судебного разбирательства дети передаются приемным родителям, и благодаря этому на суде служба опеки использует против биологических родителей аргумент, что дети, якобы, привыкли к своим новым “родителям“, и что их можно травматизировать, отрывая их от их новой среды. Чем больше времени проходит, тем сильнее нажимают на этот аргумент, получивший силу тарана, пробивающего систему правосудия. Суммируя сказанное будет правильно отметить, что служба защиты прав детей в большинстве случаев отнимает детей у родителей исходя из очень слабо аргументированной умозрительной оценки об “отсутствии внимания к детям“. Постановка вопроса такова, что государство а не родители несут главную ответственность за наших детей. И дети и родители сегодня подвергаются этому натиску со стороны барневернет. Это касается как норвежских так и не норвежских родителей, пребывающих постоянно или временно в Норвегии. Даже у беженцев, которым отказано в этом статусе и высылаемых из страны, отбирают детей и передают их на воспитание приемным родителям норвежцам /это бездетные семьи, нередко на профессиональной основе нанятые государством и получающие соответствующую зарплату за воспитание чужих детей до 17-летнего возраста в семейных условиях. – примечание переводчика/. Занимаясь этим вопросом приходится увидеть своими глазами человеческие катастрофы, разрушенные семьи и в отдельных случаях родителей, покончивших с собой или ставших в конце концов наркоманами от муки, потеряв самое дорогое что у них было. В докладе Норвежского института урбанистических и региональных исследований (Norwegian Institute for Urban and Regional Research – http://www.nibr.no/en/) говорится, что среди детей, отданных усыновителям, самоубийства случаются в 8 раз чаще чем среди других детей и подростков (pp 12-13 of the report – http://www.nibr.no/filer/2005-12.pdf). Такова правда о норвежской службе опеки, о которой норвежское посольство в Бухаресте видимо не желает информировать румынских граждан. В добавок ко всему барневернет потеряла доверие. Это приводит к тому, что родители, нуждающиеся в помощи, избегают обращаться за нею из страха, что результатом будет не та помощь, которая им нужна, а что у них отберут детей.